Dalmore master distiller Richard Paterson is celebrating 50 years in the whisky business today and will mark the occasion with a worldwide tasting tour. 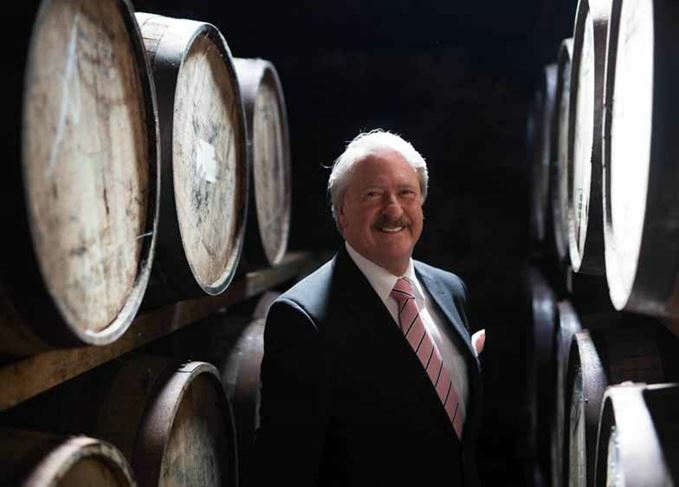 Paterson – nicknamed ‘the nose’ – has come to be one of the most revered Scotch whisky industry professionals after five decades in the industry. He will spend the next 18 months travelling around the world hosting tasting events, which will focus on expressions such as the Dalmore Paterson Collection and the recently released Dalmore Quintessence. Bryan Donaghey, CEO of Whyte & Mackay, owner of highland distillery Dalmore, said: ‘With a unique flair and unwavering passion for developing only the finest whisky, Richard continues to be a driving force in the industry. At the 2013 World Whisky Awards, Whisky Magazine bestowed Paterson with an Icons of Whisky Lifetime Achievement Award. Paterson first learned about whisky making from grandfather, who founded a specialist blending, bottling and brokerage company in 1933. His father took over the firm in the 50s, teaching Paterson how to nose whisky when he was just eight-years-old. He embarked upon his whisky career as a general production assistant at A. Gilles & Company Whisky Blender & Brokers in Glasgow, before moving to Whyte & Mackay. Just five years later, at the age of 26, Paterson was promoted to the position of master blender. When he’s not making whisky, Paterson is also diploma lecturer for Scotch whisky for the Wine & Spirit Education Trust in London. Paterson said the last 50 years have ‘flown by’ and he is ‘so proud’ of all he has achieved during that time. ‘My time with the Dalmore has provided me with some of my fondest moments,’ he added. ‘The chance to create and work with the world’s oldest and rarest malts has been an absolute privilege and I’m forever grateful that I’ve been able to share these treasures with fellow whisky lovers across the world. In 2008, Paterson published his own book, titled Goodness Nose. He regularly writes for magazines such as the Financial Times How to Spend It, Whisky & Bourbon and The Huffington Post, and has also presented on TV channels across the globe, including CNBC in the US, Style TV in Russia and STV in the UK. He has also worked with the Benevolent Trust in Scotland, which strives to raise money and offer support to those who have worked in the drinks industry and have fallen into difficult circumstances. To celebrate his five decades in whisky further, Dalmore has created a short film about Paterson’s life and his work in the industry to date. NAS single malt Quintessence, finished in five Californian red wine casks, will be priced at £1,000. Dalmore’s eccentric master blender reflects on a lifetime of devotion to whisky.